With 218 million Americans holding a valid driving license, the roads are busier (and scarier) than ever before. You already know that you need reliable insurance to ensure a peace of mind for both you and your loved ones. With that said, there are many different types of auto insurance plans available in today's market. Let's get into what you need to know to make the best decision. If you are in a covered car accident and it is determined that you caused the crash, liability insurance protects you from external costs. It covers damages and repairs as well as medical bills that may result from injuries. Most states require a minimum limit for liability insurance. With that said, if you can afford it, it's typically best to pay for a higher premium. Medical bills can cost tens of thousands of dollars. In fact, 79 million Americans report currently having problems with medical-related debt or bills. In other words, a single accident may destroy your financial situation, as you will be held responsible for any claims that exceed the coverage's limits. Car accident costs can quickly add up before you realize it. This type of protection covers related medical bills for you and your passengers regardless of who is at fault for the accident. While this is not a mandatory coverage, it's a policy you should seriously consider. Again, because medical costs can be so obscene, it's typically worth the incremental cost every month for a financial peace of mind. Some people will opt out of this to save money. However, if you are in an accident, you'll end up paying significantly more to recoup the costs than if you didn't have the full coverage. Personal injury protection may only be available in some states. However, beyond just medical bills, it can also help cover other expenses like lost income or extra child care expenses. 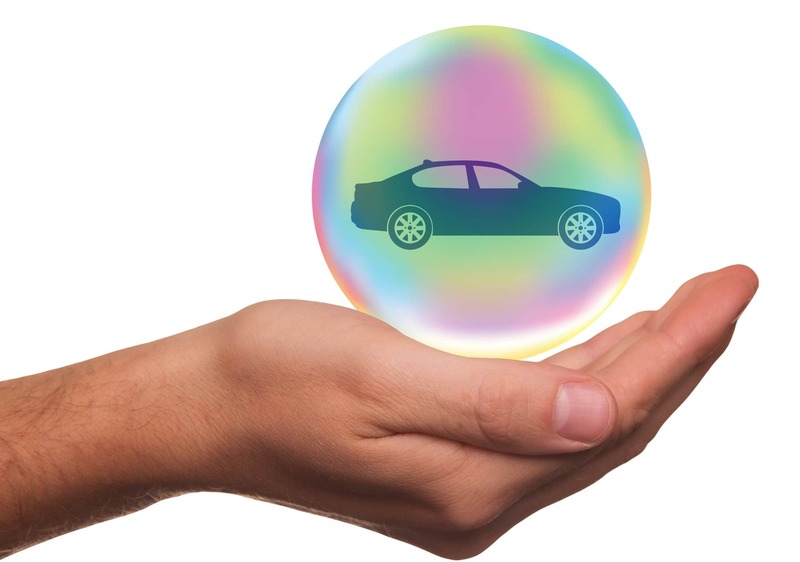 If you are in a 'covered' accident, a collision coverage policy will pay for any of the repairs your car needs. If your car becomes totaled in an accident, collision coverage will pay you out the total value of your car. If you have a newer or expensive vehicle, this coverage will help you recoup the damage costs and preserve the value of your car. However, if your car is older, it may not be financially worth the cost. Yes, it's the law that drivers need to be insured in America. With that said, not everyone follows these laws. In fact, there are many uninsured drivers on the road that can cost you thousands of dollars. Furthermore, many states have low minimum coverage requirements that don't adequately cover all the related expenses of an accident. That means, even if someone is legally held responsible for damages related to an accident, you won't receive the payment you need if they do not have such coverage. That's why uninsured protection is so important. This policy helps pay with the added expenses. Furthermore, it's usually inexpensive to add to your existing policy. This added coverage is mandatory in some states, and it is optional in others. Comprehensive coverage essentially covers unrelated damages to your car outside of traditional car accidents. It can be a costly form of insurance, and it's typically best if you have a newer or expensive car. If, on the other hand, your car is easily and quickly replaceable, this policy may not be necessary. However, you will need comprehensive coverage if you are leasing or buying a vehicle that requires it. Rental cars aren't just for vacation. They can be a godsend when your own car is out of commission. If you are in an accident and your car needs repairs, you can end up spending several hundreds of dollars on rental transportation. On top of paying for accident repairs, this just adds another layer of financial frustration. Rental reimbursement can help individuals who don't have an alternative means of transportation for school or work. There are usually per-day or per-accident limits on these reimbursements (such as $25 per day). Even if it doesn't cover the entire cost, it can help you significantly save. Got a flat tire or dead battery? Stuck in snow or mud? Left your keys inside the vehicle and don't have a spare set? While these situations aren't fun to plan for, it's important to have a backup plan in place. Emergency roadside assistance covers the associated costs of changing tires, fuel delivery, locksmith services, and towing. When paid individually, these costs can quickly add up. However, when added to an existing insurance policy, this option tends to be inexpensive. Furthermore, many companies exclusively offer emergency roadside assistance. If you don't want to pay an extended warranty for your new car, mechanical breakdown insurance may be a better bet. With this option, you typically pay smaller monthly premiums instead of a large lump sum. This coverage pays for serious transmission, engine, or mechanical repairs. It's usually available only to new or leased vehicles with less than 15,000 total miles. Even though you may not love shopping around for insurance, it's a necessary step to ensure the safety of you and the people you love the most. At Amistad Insurance Services, we're passionate about helping people receive quick, accurate, and affordable rates. We're here to help you navigate the different types of auto insurance. Learn more about our auto insurance coverage today!